Squeak,squeak squeak went the rear wheels. One each side every revolution. Like a squeaky bed, quite audible at low speeds by pedestrians. Mysteriously vanishing over 30 mph. Been like that for a couple of years really. However I just could not put up with it anymore, after all William Lyons didn't design it to do that. I changed the diff ratio from 3.51 to 2.88 2 years ago. Whole IRS out, new bushes, new bearings, fulcrum arm bearings the whole lot. Refitted it, went down the road, squeak, squeak, squeak, put it out of my mind. IRS out for hand brake pads. No tell tales in evidence, all refitted still squeaking. Grease gun out again, all lubed up, no difference. Driveshaft dust shields removed. Wish I had kept them on. No difference. Got the squeak again. Just befor the CMC birthday party, I had the front wheels balanced at Mill Tyres in Boston. After the 1,200 mile Germany trip suddenly the car was super smooth. Apparently my front wheels had no weights fitted from new! This spurned me on the getting the rear squeak eliminated. Squeaky Wheels? This morning I removed the rear wheels on took them down to Mill Tyres. They removed the tyres and we spent a while looking for loose spokes, bent rims etc. Anything that could cause a squeal every revolution. Nothing. The wheels are now 24 month old, they have completed about 5,000 miles and they are still like new (Thanks MWS). Tyres refitted an balanced. 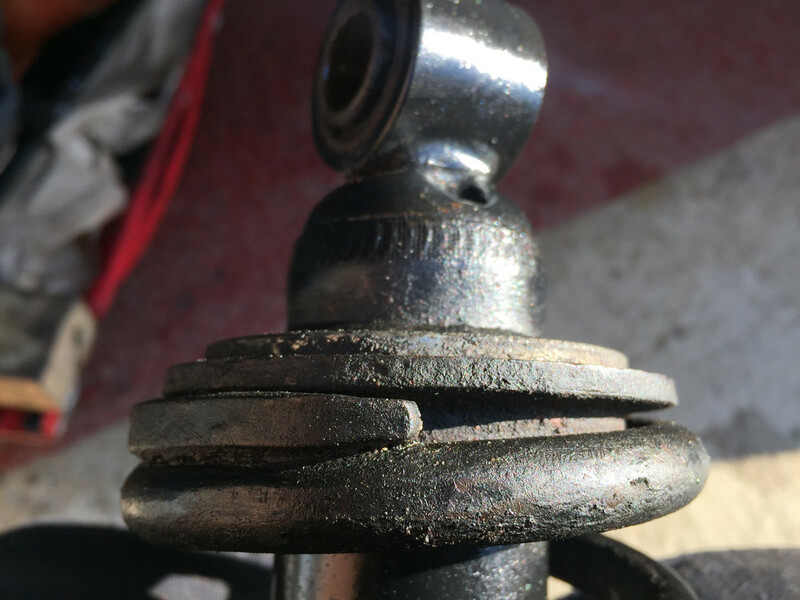 So I thought it must be a bearing or dry joint. I refitted the driver's side rear wheel and rotated it by hand. Every revolution I could feel a resistance and also hear a sort of graunch. With the inspection lamp I looked up and low and behold, could see the problem immediately. Should have looked in the first place. The driveshaft was hitting the springs every rotation. The 4 rear springs are held around the shock absorbers by there own compression by a series of split collets. This is fine when the springs are being squashed by the car, however there is very little pressure holding them in exact potion on full extension of the springs. So the springs may not be exactly centralised around the shocks. Because there is no register between the replacement springs and the spring retainers, they can float around a bit. I reckon 10-12mm each. I my case the springs had moved towards each other and the driveshaft was just nudgeing them once every revolution. With the wheel removed, I got a piece of wood and tapped each spring away from the driveshaft joint creating the required few mm of clearance. Test drive -Job done, squeal banished, total silence (well sort of). Last edited by politeperson on Sun Sep 02, 2018 9:20 am, edited 1 time in total. misassembled parts +/- some of the above. Springs should not be able to move 10-12 mm laterally or rub the half shafts. Here’s the bottom of one of my springs. It’s not possible to move anything laterally, and there’s too much preload to move anything even if there were clearance. I wonder if you have some springs from a saloon fitted? I believe they might be a larger outer diameter. 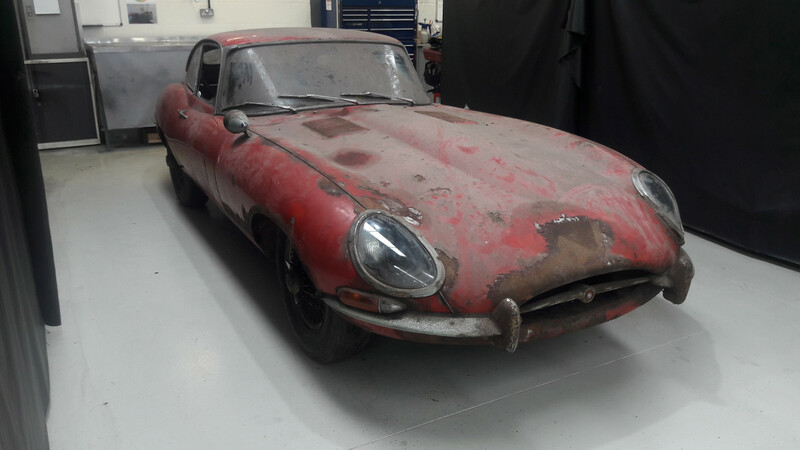 I purchased the springs as FHC E type springs from one of the usuals, and paid the price a few years ago. In all other respects they are faultless. The movement occurred between the road spring and the spring retainer. The shock absorber mounting pints being fixed to the mm. If I had kept my old springs I could have compared the thickness of the old and new springs, as slightly thicker springs wold probably reduce the movement. 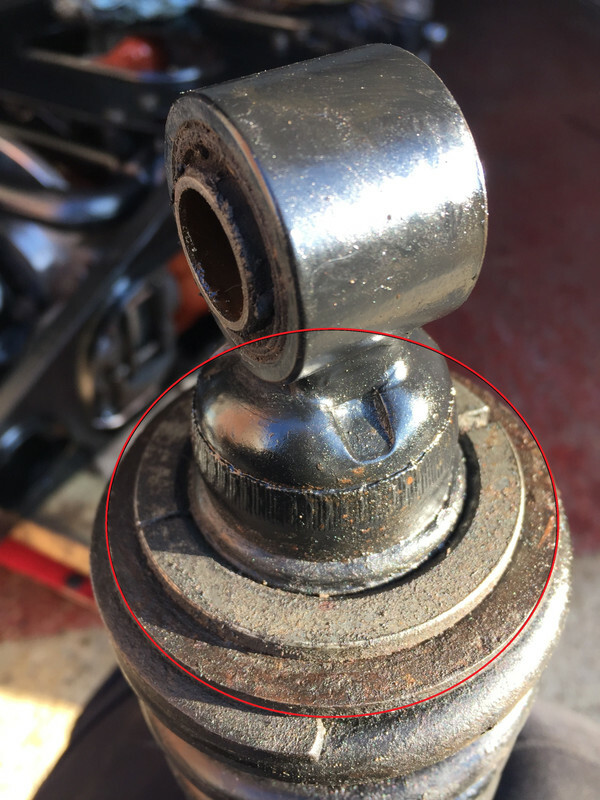 When looked side on to the shock absorber/spring combo, it was quite clear the shock absorber was not centrally located in the centre of the spring (until I whacked it with a piece of 2x2). It is only possible to do this with the wheel off and the body jacked up, otherwise you cannot get to it and there is too much pressure in the spring to allow lateral movement under load. Now they are adjusted they should be fine. Fine adjustment of the World's finest riding and handling suspension system using a lump of wood! Are you sure it is going to stay adjusted? I think Peter's advice was well considered. A lump of wood. The engineers tool. I have marked the slip plane in red below. Now it is fine, yesterday I took the car out for a long drive. It is perfect. Not sure if there is a difference between aftermarket spring internal Diameter and the originals. It is not something you would notice on assembly unless you were looking for it. 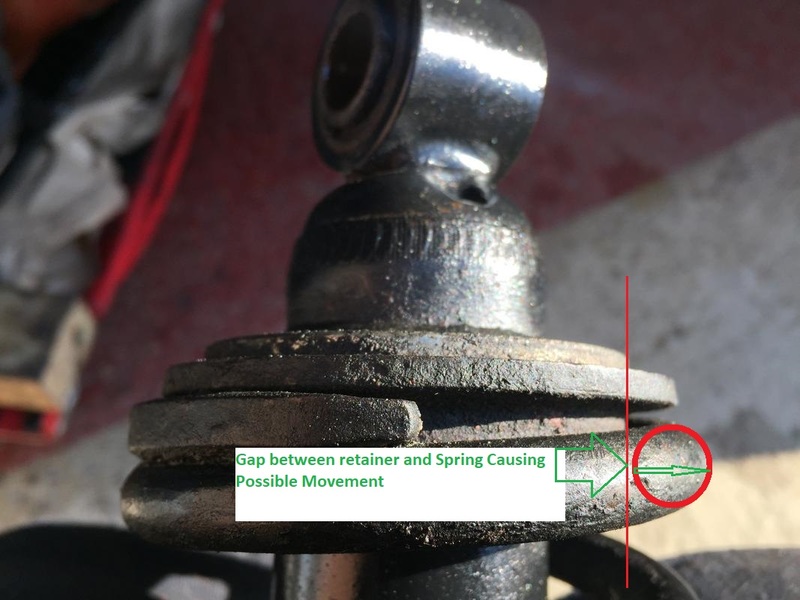 Looking at the spring/shock absorber section photograph above, it looks like it creates plenty of potential for the spring to slip around inside the retainer. The retainer appears to create a gap between itself and the spring and also the retainer is not molded to the shape of the end of the spring as it is in some other applications. I have marked this below. This doesn't seem to matter though as long as you centralise the spring on assembly. If I find a spare spring/retainer I will put them together and see how snugly they fit together. I dont fancy taking my car to bits at the moment to find out. As you say. It could just be my parts. It’s possibly not very clear from my photos, but there isn’t room for the retainer to move around inside the spring. There’s enough clearance between the outside face of the retainer and the inner diameter of the spring for it to be assembled without interference, but certainly not 10-12mm of movement. The retainer is also held firmly central on the damper by the collets, so there’s no potential movement there either. Do you have any photos of your spring/dampers? I can’t take any better ones now as the car has been reassembled.